The Down Cruiser Vest from Filson is a great option to have in your closet. It is a warming and versatile coat that can either be worn on its own or under a bigger jacket depending on the temperature. The exterior is constructed of a wind and rain resistant oil finish Cover Cloth with reinforced Shelter Cloth pockets and lower back. 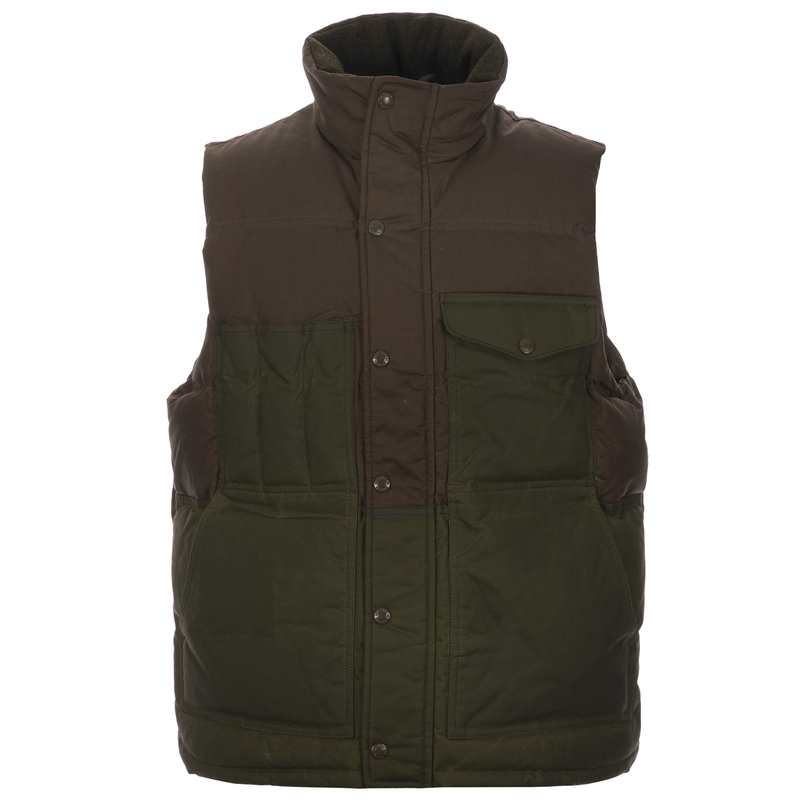 To keep you warm the vest has been fully insulated with a lightweight, 650-fill-power goose down. It has been finished off with a ripstop-nylon lining and flannel lined-hand warmer pockets.